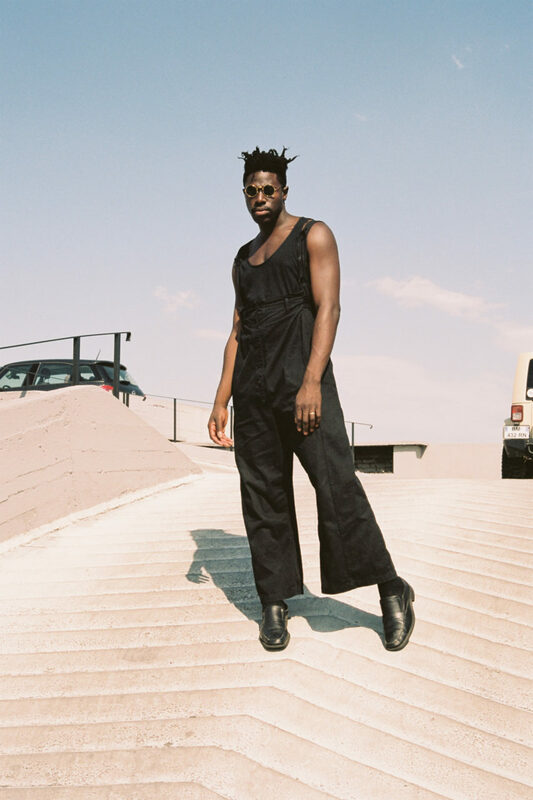 After his 90-second gig at the Oscars alongside Sufjan Stevens, discover more about Moses Sumney, from his childhood in between cultures to the long process behind the making of his album and his position on political statements in music. NAAR: How do you do, how did Paris welcome you? 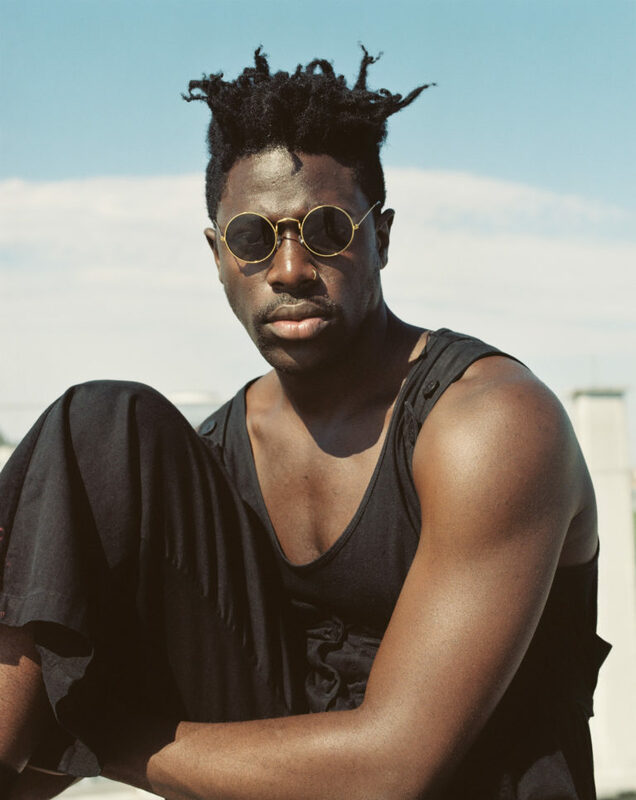 Moses Sumney: It’s good, it’s good. 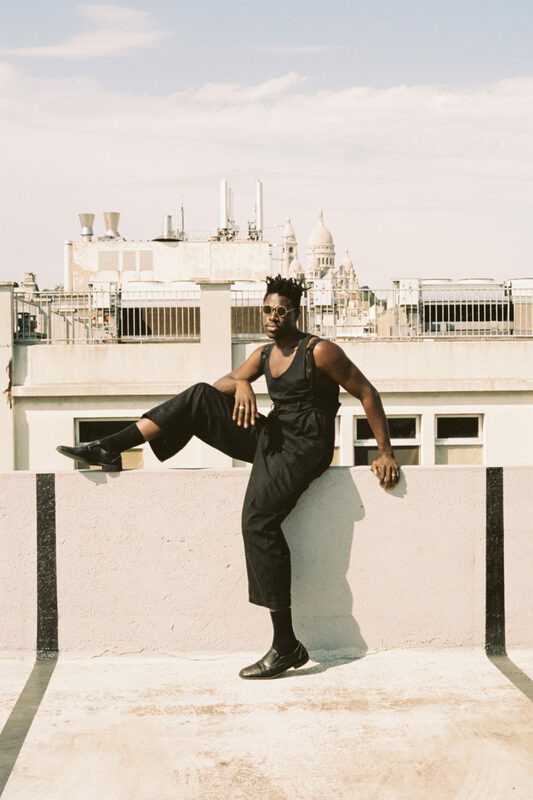 I just got to Paris from the States. I was in New Orleans for a few days for a big festival. So I came straight here and I came straight to the hotel and straight into press. It’s really intense but it’s fun. NAAR: I read everywhere that you grew up in Ghana in one of the interviews you said that you were rejected by other kids, which I cannot imagine because you look so smooth and cool! I don’t, I don’t understand! MS: (laughs) That’s funny! I was not! I was not smooth and cool as a kid. I was actually underweight and the doctor told my mom that I needed to go outside more because I wouldn’t like leave the house. When I was a child I didn’t like talking to people. I was very unpopular. NAAR: OK, you said it was partly because you were an American. MS: Yeah, definitely an outsider. People didn’t really accept me. NAAR: And when you were in the US, when you were in California, did you get rejected because of your Ghanaian origins? MS: No, not really. I got teased, but I didn’t get rejected. I went to private school. I was not really rejected but I definitely was a little bit different. Like, I was the only black student in my school. And so I was always the odd one everywhere I went. I wouldn’t say I was rejected but I was definitely made to feel different. NAAR: In France there is a lot of people who have two nationalities. They are from North African descent and they are French, their passport is French. It’s really common that, they don’t feel like at ease on both sides. When they are in Morocco or Algeria, people tell them they’re French and in France they tell them they’re Arabs. Is it something that you experienced? MS: When I’m in America, I’m the African. And in Africa, I’ll be the yankee (laughs). You can’t win, on either side, basically. I was always the odd one everywhere I went [..] I was definitely made to feel different. NAAR: What does it mean to you to be an American now? MS: Um, I don’t know how to answer that question. I don’t feel like I’m from any specific country, if I’m being honest. I grew up in so many different places and I’ve experienced so many different cultures. I don’t feel like I’m specifically one thing. I’m a hybrid of at least two cultures. The only big thing about being American is having the passport, because it lets go to other countries. 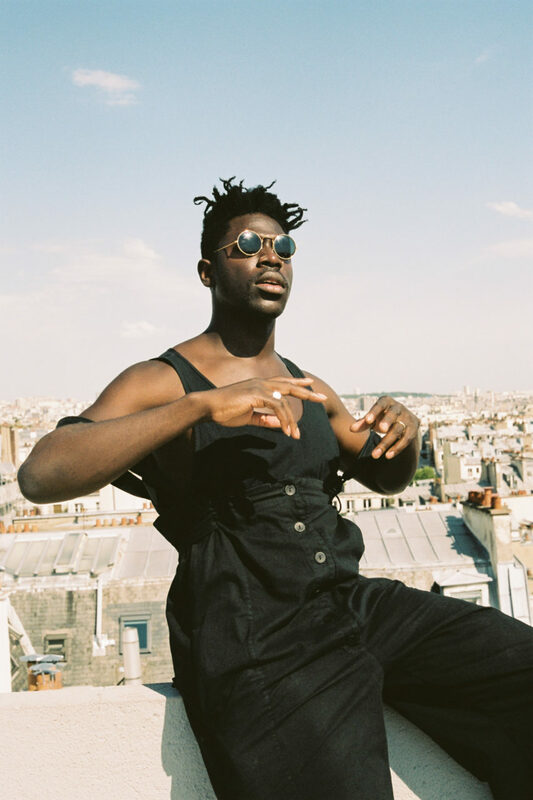 NAAR: OK. And to what extent did growing up in Ghana have an influence on your music? MS: I didn’t listen to a lot of music when I was in Ghana. But I heard a lot of it on the radio and stuff. As a society they’re really into drums. Not that there is a lot of drums in my music, but I think it taught me rhythm. It got me interested in polyrythm, a different time signature. It kind of made me explore other sounds, more than I would have maybe if I hadn’t lived there. It’s hard to say entirely. I think it’s mostly subconscious the way that it influenced me. 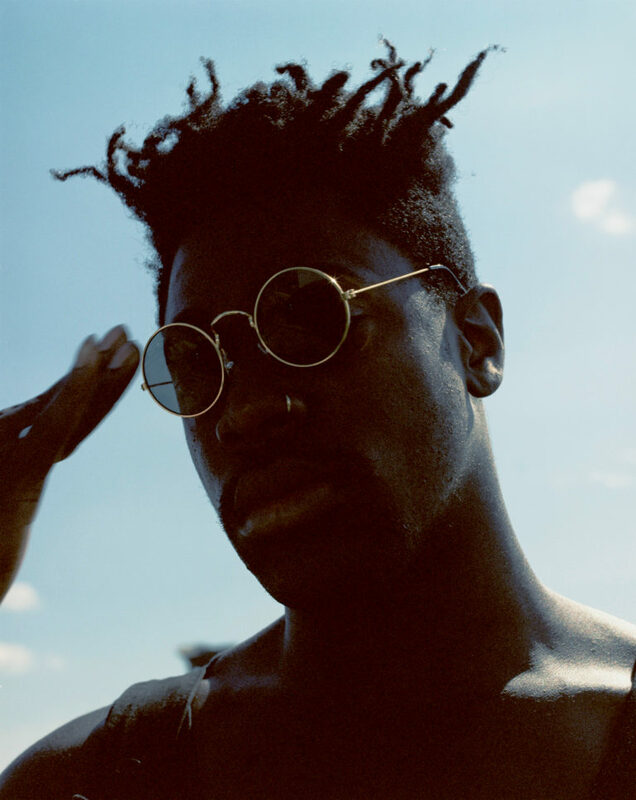 NAAR: I read a lot of articles saying that you produced music at your own pace. How do you interpret that? MS: Meaning that I am very slow? NAAR: Yes. Do you think that you owe something to the audience and to the journalists? MS: No. I don’t think I owe them anything (laughs). They’re welcome to listen and they’re invited to do so. I think I owed it to myself. I seemingly took so long to make an album, because I wanted to make something different, something that didn’t sound like anything else that was being made currently. And that takes time. I had to explore, to figure out who to work with. I had to figure out who I was, writing this album. That was conceptual and I think that just takes time. But I don’t feel like I owe anything to anyone. I think the artists don’t really owe anything to anybody, but themselves. NAAR: And do you think it’s part of the responsibility of the artists to explain their creative process? To explain that you don’t wake up in the morning and you have a new album. That it is really personal and there are technical limits. Is it something that you can explain maybe? MS: I don’t think it’s really my responsibility to explain. I like explaining, I think it really helps people understand what the creative process is, how difficult it is to make stuff. What are you asking me to explain? NAAR: I don’t know. Maybe artists can provide their audience with a more Instagram stories where the audience can see them struggle with the, with their music, with their art? People would understand that you don’t make music instantly. MS: I think ultimately people are probably going to idealized an artist’s life either way. You try to explain to them how difficult it is to make stuff, they don’t really get it. I always think about that when I see reviews, it’s just really crazy to me. You spend like three years, you know, three or four years. It took me three years to make this album. You dedicate your entire life to that. Somebody will listen to it for one day or two days, and then they write a review saying it’s trash, and then move on. It’s just kind of weird. A lot of work does go into artistry. I think maybe it would benefit everyone as human beings to try to adopt the perspective of other people, and try to imagine how much work they put into what it is that they do. I don’t feel like I’m specifically one thing. I’m a hybrid of at least two cultures. NAAR: Yeah and how do you explain that people kept waiting for you, even if it took a lot of time? As you know there are a lot of bands currently on social networks and people make things really fast. If you tell them “I give you a track and in two or three years, I’ll deliver an album”, how do you explain they waited for you? MS: You have to be confident that what you’re making is special, and treat it like it’s special, you know, to make art as a gift to yourself and to the world. It’s like art is a gift from the world or from the universe and you have to treat it with that same sacred spirit. If that is where you’re coming from as an artist – and that’s where I’m coming from – you can’t rush it, you can’t dilute it. I can’t just throw it out into the world, it’s like throwing me out to a pack of dogs. I like to respect the art and show my appreciation for the art. I’m making it in the best way possible. When I started making my record, or when I started becoming someone that people were talking about musically, everyone kept telling me hurry up, hurry up, hurry up. Everybody’s thinking: now you have to have an album, now you have to put it out, now you have to sign the record deal, now blah, blah, blah, or else everyone’s going to forget about you because everything moves really fast. It was really scary and I had to really decide for myself: does it matter more that I made something that felt unique, or does it matter more that I made something quickly so I could stay relevant? Because I knew that I couldn’t do both. Maybe some people can, but I personally cannot. So at that point I decided that it was worth risking everyone forgetting about me, it was worth risking everyone moving on, to make the thing that I really believed in. And then the faith is that when you make something that’s good, people will come regardless of how long it has taken. Does it matter more that I made something that felt unique, or does it matter more that I made something quickly so I could stay relevant? NAAR: In the video for your song Doomed you didn’t breathe for four minutes and a half. NAAR: Was it difficult to hold your breath that long? MS: Yeah, it was really difficult. Well, it wasn’t actually that difficult to hold my breath, but it was difficult to sync because I can hold my breath for a long time, but I don’t know how to swim and I never go swimming. I never go underwater. So that day, I had to learn how to open my eyes underwater. And then I had to learn how to sing the song and it was just really hard, really, really, really hard. But it was good because I was suffering but it’s really nice to be suffering when you’re making something that hopefully will really be worth it. NAAR: But you know you still have to work because the world record is 11 minutes without breathing, a French guy did it. You can find him on the Internet. MS: I’m never going to hold my breath for that long or I will die. Might not be so bad, but not yet. NAAR: I have the impression that many journalists want you to have political statements in your interviews. Every time they ask you about Solange, and especially since you’re close to Solange, I have the impression that they try and make you say some political stuff. And generally, they fail because I think that you are a political person but not in terms of everyday politics, it’s more generally, universally. How do you deal with that? Do you feel any pressure, because you’re close to Solange, because you are a black man in Trump’s America? Do you think that there’s pressure on you to be political? MS: Yeah, I think this is because right now a lot of black American artists are making political music or making political statements with the music. Which is great. But I’m not really making big political statements with my music. I’m kind of more interested in the personal. And so I think that people assume that, because that’s what’s happening right now, everyone’s going to do this. I’m not doing that really. I don’t know, I’m just invested in honesty. So when it feels honest to say something then I will, and when it doesn’t, then I won’t, and that’s simple, you know. NAAR: So I will write that you like to disappoint your fans because you make them wait and you don’t want to say political stuff! MS: (Laughs) Well, I don’t know, do the press count as fans? I think, you know, artists give a lot for the world honestly, most artists do. It’s a lot to talk about your feelings, to make something and I think it’s enough actually. I’m not really making big political statements with my music. I’m kind of more interested in the personal. NAAR: In an interview you said that Instagram is your favorite social media, which was another very personal insight that you gave to your audience. Who are the people that you follow on Instagram? What do you like on that social media? MS: OK, let me see. This is interesting because I’m notorious for following very few people, like 40, 45 people or something like that. I only follow like my friends. But I really love imagery and it inspires me. I don’t know. There’s this woman named Sam Cannon whom I follow. She made some visuals for me last year for my song Lonely World. I really like what she does, it’s really nice. I like Solange’s pictures. My friend Patrick, who’s a stylist, takes beautiful photos. NAAR: I’m seeing that you follow Emily Ratajkowski. MS: I do follow her. She’s actually kind of funny. NAAR: I think that Emrata is followed by all Instagram. You know when you get the new iPhone, you already have the U2 album. I think it’s the same with Instagram, you already have Emrata. I see that you follow really cool people. Patrick Rammel Kamp, Karen O..
MS: I love Karen O. That was one of the first people I went on tour with. NAAR: The people you follow are exactly the same people you talk about in interviews, like Karen O, Hundred Waters, all the other musicians that you talk about in your interviews. So it means that you didn’t lie in your previous interviews, which is cool. MS: Oh yeah, I’m lying, but I didn’t lie about that (laughs). NAAR: OK, thank you very much Moses. I don’t know if you have something else to say to the French people, to the French nation. NAAR: I will transmit this very important message. Thank you very much. Have a good afternoon.